Gun Bans Now, Knife Bans Next – The Time to Act is NOW! Knife Rights was formed as the Second Front in the Defense of the Second Amendment™. Now we must stand firm with our brethren to fight for all of our “arms.” Anyone who thinks that somehow the Anti’s will stop with firearms is delusional. One only has to look at England, Europe and Australia to see where this slippery slope leads–not only to disarmament of both firearms and knives, but also to the morally indefensible and absurd concept that you have no right to protect and defend yourself, your family or your home. We don’t have to guess where this all leads. It isn’t alarmist. We have the proof right in front of us. Nor do we have to look hard to discover the futility of such efforts. Contrary to what many assume, the U.S. does not lead the world in the rate of mass shootings. No, that sorry leadership is owned by countries with some of the strictest gun and knife controls in the world. Nor do more restrictive laws equate to fewer deaths or less crime. In fact, the evidence in the U.S. points to the opposite conclusion; a well-armed society is a safer society. We have far more “Life, Liberty, and the pursuit of Happiness” when free men and women possess arms to defend those “unalienable Rights” from whomever wishes to take them. In the wake of the horrific murders at the Sandy Hook school in Connecticut, America has been deluged with calls for ever-more-restrictive gun-control laws, and that’s understandable. It’s natural to think that’s the solution if you don’t know these measures have been tried and have always failed. We crave a solution so much that we’ll ignore the record and keep repeating failed policies. We are told that we need gun-control laws. Sounds good, right? Should we make it illegal for anyone adjudicated to be mentally ill to buy a gun? Let’s make it illegal for felons to possess guns. Let’s license gun dealers and require the FBI to do a background check on anyone buying a gun from these stores. How about an age restriction on buying guns? Gun shows should have to follow the same laws as everyone else. All those already are law, and there are some 20,000 additional gun-control laws in the U.S. Before one can rationally call for passage of gun laws, he or she must know what already is covered. How about a ban on “assault weapons”? We’re told this is only common sense. But, what is this thing called an assault weapon? It’s not a machine gun. There were no machine guns covered in the original assault-weapon ban because those firearms already are tightly restricted. No, the autoloading (called semiautomatic) rifles included in the original law simply looked like military guns. They should be banned on the basis of how they look? They fire only one shot with each pull of the trigger, like a revolver or the cowboy-style lever-action rifle used by John Wayne. Semiautomatics have been around for more than 100 years. President Teddy Roosevelt hunted with a semiautomatic rifle, as do millions of hunters today. For 10 years (1994 to 2004) we banned only those semiautomatic rifles that look like military guns. Prohibitionists’ logic dictates that the demise of this law in 2004 should have spawned a huge increase in crime with rifles. Didn’t happen. More people are killed with fists and feet than with rifles of any kind, and semiautomatics constitute merely a subset of rifles. In short, the ban failed. It had to. The National Academy of Sciences studied gun laws in the U.S. and reported it could find no link between restrictions on gun ownership and lower rates of crime, firearms violence or accidents with guns. Over the past 20 years, the rates of violent crime and murder have dropped by half in the U.S., according to the FBI. That’s astounding. We have more guns and more gun owners, but the rate of violent crime and murder went down by half. Accidental shooting deaths also declined. How can this be? Two things were done, and they work. Over the course of a half-century, with more guns and more gun owners, the number of gun accidents resulting in death has fallen because of education. Gun owners, through various programs, have taught safe gun storage and gun handling and have brought into our schools the Eddie Eagle program, which teaches young children to not touch guns and to tell an adult if they find one. The major change in America’s gun laws over the past two decades is removing prohibitions against people carrying guns for protection. The concealed-carry movement started in Florida amid catcalls from the media – which dubbed it the “Gunshine State” – and predictions that every fender-bender accident would result in gunshots. That didn’t happen there, and it didn’t happen in the other states. More good people are carrying guns, and the violent-crime and murder rates decline. We have a clear track record of what works to increase our safety. We know what doesn’t. Arming good people does, in fact, reduce crime. Banning certain types of firearms, or the loading devices, does nothing to stop mentally ill people and criminals. Focusing on the failed siren song of gun control diverts us from doing things that actually work, such as programs to secure firearms. Congress eliminated the funding for “Project Childsafe,” a program created by the firearms industry to educate gun owners about safe storage and to distribute millions of gun locks. We all want to do something, but it is foolish and wasteful to return to a policy with a clear record of failure. So, now what? What happens next is up to you. If you do not act, you lose and we all lose. 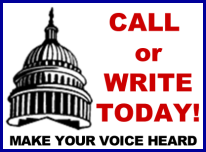 MOST IMPORTANTLY, Start Calling or Writing your Senators and Representative! Your calls, emails and letters mean more now than ever. Call or Write NOW! Call or Write Next Week! Call or Write Every Week until this battle is won! If your legislators don’t know your name when you call or write, then you are not doing your job. NOW is the time to make sure they learn your name and DON’T forget it. CALL or WRITE. Go to their offices. Go to town hall meetings. Make sure they know you and that you are holding them accountable on this issue! We won’t stand for scapegoating. Please oppose the numerous irrational and ultimately ineffective gun control measures being proposed in the wake of the criminal tragedy at Sandy Hook elementary school. If any legislative response to this terrible tragedy is needed, it deserves careful and rational debate, not kneejerk reactions that infringe law-abiding citizens’ rights to no good effect. What we definitely do not need is more onerous gun control that cannot possibly address the real issues, but only further infringes on my rights and freedoms. These proposals must be stopped and I will not forget or forgive if you do not stand up for my rights! Now, it is up to you. If each and every one of us–yes, that means you–do not take part in this fight to protect our arms, then we will have no right to complain when they come for our knives. We will follow up on this with on-point messages to relay to your Senators and Representative as circumstances in Washington dictate. While many believe a handwritten, mailed letter still carries the most weight, and we don’t discourage that, free and quick emails do get the message across in our experience. Anti-Second Amendment disarmament proponent Reverend Al Sharpton told a radio caller that it could be time to ban knives as well as guns in his effort to disarm law-abiding Americans for the crimes of the few insane and criminals. 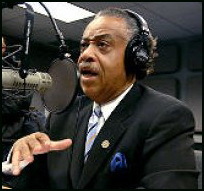 “What happens when the criminal goes to knives, Al?” the caller asked. Of course, as most of us know, cold and headache remedies only deal with the symptoms and don’t cure the underlying problem. It might be better to say that “the job of society is to deal with” those underlying problems, as opposed to the symptoms, without destroying our freedom and ability to defend ourselves from the aberrant members of society who will always find a way to commit their heinous criminal acts against defenseless victims. The lesson is that just as happened in England and elsewhere, for those pushing for irrational gun bans, they are just the first step towards further restrictions and bans, including our most useful tools, like our knives. Ultimately, it is our liberty that is being threatened, based on the lies and deceit of those with another very simple agenda–control. Note: This image above on the Al Sharpton YouTube is from England, where so-called “knife crime,” criminal acts including murders committed mostly with kitchen knives, has reached epidemic proportions and a major political issue with one major British medical group advocating for banning pointed kitchen knives!